The Lake which is located in the historical city of Polonnaruwa is a charming hotel which enables you to spend a peaceful holiday amidst a glorious history. The hotel consists of well equipped deluxe bedrooms spread across 2 floors while all offer views of the lake beyond. The restaurant offers you a range of local and international cuisine while the bar is a fine place to relax and enjoy a drink. Guests can enjoy nature at its best by lazing around all day in the garden area which overlooks the beautiful lake. Built on a three acre landscaped garden, in close proximity to a number of historic locations, the Lake Hotel is located overlooking the picturesque Parakrama Samudraya Lake in Polonnaruwa. The town is located at a distance of approximately 216km from Colombo in the North Central Province. Polonnaruwa can be reached via the Colombo - Batticaloa railway line which runs through the city or enjoy a drive through the Colombo - Habarana - Polonnaruwa route. The Lake in Polonnaruwa comprises of 40 air-conditioned deluxe rooms with a host of modern amenities. There are 18 bedrooms on the ground floor which opens out to the front lawn which is located in front of the Parakrama Samudraya while 22 rooms are located on the 1st floor offering beautiful views across the lake. Room facilities consist of twin/king sized beds, in-room safes, mini bar, mini fridge, tea/coffee making facilities, flat screen television with satellite connection, en-suite bathroom and bathroom amenities. The main restaurant at the Lake in Polonnaruwa serves Sri Lankan and Western cuisine while you can enjoy them in either buffet style or a la carte. A range of alcoholic beverages are available at the hotel's charming bar area. There is an outdoor swimming pool that is located in the extensive garden of the hotel which ends bordering the lake. You can enjoy a swim, drinks and also laze around all day on the sun beds while enjoying the beautiful view of the surroundings. Wi-Fi internet facilities are available in the lobby area. Polonnaruwa which is the second medieval capital of Sri Lanka was a prosperous kingdom that was rich in its agriculture. Stone carvings and statues of the Buddha and ruins of an entire city of palaces, monasteries and temples can be witnessed in their magnificent grandeur. You can also visit the Polonnaruwa archaeological museum. The ancient city of Polonnaruwa can be explored by foot or by hiring a bicycle. If you are in need of adventure, then you can head towards the Minneriya or Kaudulla National Parks and enjoy a safari where you can witness many herds of elephants. 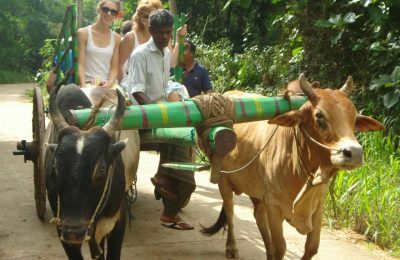 Activities such as bird watching, boat riding and jungle trekking can be enjoyed. The main restaurant at the Lake in Polonnaruwa serves Sri Lankan and Western cuisine while you can enjoy them in either buffet style or a la carte. A range of alcoholic beverages are available at the hotel's charming bar area. There is an outdoor swimming pool that is located in the extensive garden of the hotel which ends bordering the lake.